Dr. Rajesh K. Pillania, PhD, is rated and awarded the top professor for strategy in India by ASSOCHAM and Education Post. He is ranked jointly number one in average research productivity among management faculty (including IIMs/IITs/ ISB) in India for research output from 1968 to 2014. 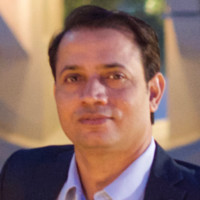 His academic and research experience includes IIM (K), Smith School of Business in Maryland, and Harvard University in Boston, MA, among others. He is professor of strategy with MDI, Gurgaon. His research is focused on two broad areas namely on frontiers of strategic management and on democratizing strategy. He offers strategic humor workshops, and is a standup comedian on strategy. For more visit www.pillania.org and he can be reached at rajesh@pillania.org.